Since its completion in 1914, the Panama Canal has been a cornerstone of global trade and exchange. 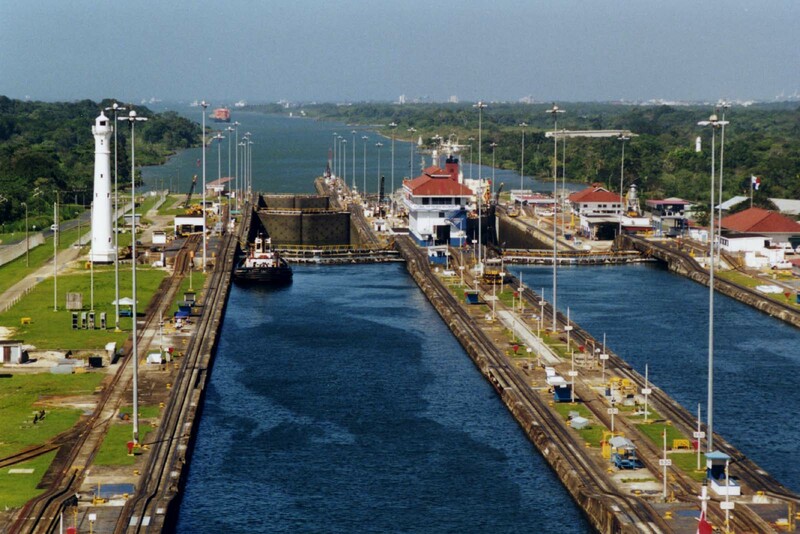 In 1999, after the United States turned over ownership of the canal to Panama, the country itself has been able to prosper directly from the economic benefits of the canal. In fact, the canal recorded record net profits in 2015, of $1.361 billion USD. Additionally, according to the Panama Canal Annual Report for 2015, the canal is a major source of employment with over 9,900 workers, of whom only 0.2 percent are foreigners. As a result of the canal’s economic impact, Panama has seen momentous economic growth, and between 2000 and 2013, Panama’s Gross Domestic Product (GDP) per capita increased from $7.6 thousand USD to over $16.5 thousand USD. Overall, the canal is both a source of revenue and employment for Panama, and the expansion project, completed on June 26, 2016, has only increased the canal’s relevance and potential for profit. Despite the substantial upfront costs of canal construction, this landmark project provides employment opportunities for thousands of Panamanians and has ensured that the canal will be able to accommodate ships triple the size of the previous limits. This investment is projected to attract more service through the canal, which is especially important now, when maritime shipping faces competition from other canals and air shipping services. Indeed, this long-term investment project keeps the canal relevant in the expanding global economy. However, although it is important for the long-term development of the country, investment in the canal will only pay off if Panama shifts from large-scale development to smaller-scale development. In other words, in the years following this important expansion, Panama needs to shift its attention away from massive infrastructural advancement and toward improving its struggling education system and social services for those in poverty. Panama’s consistently high economic growth over the past two decades has cemented its status as one of the most prosperous nations in Central America. Yet, despite Panama’s recent economic prosperity, aspects of its social development continue to resemble hallmarks of a much poorer state. For example, high levels of poverty and a failing education system remain prevalent amidst the economic boom. In other words, though the canal and other large-scale infrastructure projects are meant to foster long-term development, these projects detract from Panama’s capacity for social development in the short-term. Panama has made strides in poverty reduction over the past fifteen years, but the improvements are inadequate when compared to the country’s otherwise booming economy. Indeed, while the Panama City skyline reflects a thriving metropolis, impoverished communities linger on the city’s edges. According to the Economic Commission for Latin America and the Caribbean, 21.4 percent of all Panamanians were living below the national poverty line in 2014. In rural communities, the total number of people living in poverty was 40.9 percent, and in indigenous communities, it was over 70 percent. This indicates that the majority of impoverished peoples are concentrated outside Panamanian cities in already marginalized, remote, and rural areas. In fact, according to the World Bank, “poverty rates are highest in the rural, indigenous, and remote areas and lowest in the central urban districts.” This distinct separation of wealth across cultural, racial, and regional lines demonstrates the deeply embedded income inequality across the country. 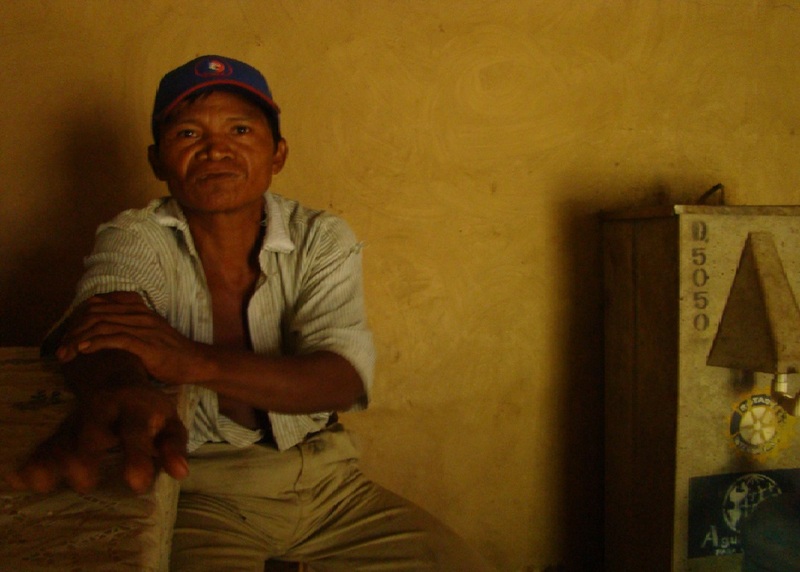 The concentration of poverty in rural and indigenous communities means that entire communities are unable to access the wealth generated by long-term investment projects like the Panama Canal. Ultimately, though Panama has the highest growth rate in Latin America, this growth is meaningless if rural and indigenous groups continue living in desperation and isolation without benefiting from the country’s proclaimed prosperity. Panama’s public education system is also facing challenges. In the World Economic Forum’s Global Competitiveness Ranking for 2016, Panama’s overall ranking is 50 out of 140 countries, yet the quality of Panama’s education system is ranked 94 – a shockingly low mark, especially when compared with other measures of Panama’s economy and society. Although the country has recently expanded to universal primary education, the overall infrastructural and operational aspects of the education system continue to worsen. These accessibility and quality issues can largely be attributed to poor funding. In 2011, Panama only spent 3.3 percent of its total GDP on education, a value which has continually decreased since 2000. This value is even lower when compared to other Central American countries such as Honduras, Costa Rica, Belize, and Nicaragua, who spend relatively more on education despite being poorer than Panama. Overall, by neglecting to properly fund education, Panama is failing to invest in its human capital. The expansion of the Panama Canal is an example of how Panama’s government has prioritized infrastructural improvements and long-term investments over social development. Indeed, the country spent an estimated $5.25 billion USD on the canal, while Panama’s total budget in 2015 was around $10 billion USD; the investment on the canal thus amounts to over 50 percent of one year’s worth of federal spending. Despite the fact that this investment will bolster Panama’s trade prospects in the long term, it fails to provide relief or support for societal problems. Although past and present Panamanian administrations have proposed social development plans, it is unclear whether these plans do enough to advance the interests of the struggling education system and the unequal distribution of wealth. Panama’s 2008 Social Fiscal Responsibility Law stipulated that any new administration must “adopt a Strategic Government Plan, framed with objectives and goals” for developing Panama. The subsequent 2010-2014 Strategic Government Plan, however, was primarily aimed at solidifying Panama’s economic enterprises. Within the $13.6 billion USD plan, $9.6 billion USD was dedicated to long term investments and infrastructure projects. Thus, while the plan was beneficial to many sectors of the country, it was heavily skewed toward macroeconomic growth. The current 2015-2019 Strategic Government Plan appears to be more cognizant of Panama’s ongoing struggles. The five-year total investment amounts to a greater total of $19.5 billion USD, and 55 percent of spending is to be dedicated toward social projects, such as improving education, health, and the well-being of vulnerable groups. Additionally, the 2015-2019 plan recognizes the need to place social investment before infrastructure by stressing the idea of “One Country,” in which the disadvantaged are recognized as integral parts of Panamanian society. This rhetorical emphasis on unity indicates a dedication to an improved quality of life for all Panamanians, not just a few. While this initial pivot from infrastructural investment to societal investment is a positive shift in focus for the overall growth of the country, the Panamanian government needs to be vigilant in maintaining high social standards. Extreme poverty, growing income inequality, and a failing education system are only a few factors indicating the disparate contrast between economic wealth and social health in Panama. Making these issues a part of a five year timeline exudes promises for the future but makes it unclear when the new programs will come into effect – thereby removing the sense of urgency that these situations require. To target these weaknesses and ensure that the country can be known as both a regional economic power and bastion of social equality, Panama must make a more concerted effort to affect immediate change. One obvious answer to this crisis lies right in Panama’s backyard – or rather, in its new multi-billion-dollar swimming pool. The expanded canal is poised to raise massive funds and will most likely be effective in its provision of long-term economic prosperity for Panama. Like most infrastructural improvements, it is designed to keep the country competitive with the rest of the world, and thereby improve the livelihood of its citizens. In the short term, however, the added revenue from the canal should be put to use to ensure that all of Panama’s citizens benefit from the improvements. Development will not happen overnight, and generating revenue is not the only solution. However, with more funding, Panama’s gravest social challenges – particularly education and poverty – can be addressed in a timely and productive manner. The expansion of the Panama Canal was a costly infrastructure project, which diverted funds away from social programs and thereby further entrenched Panama’s systemic inequalities. Yet, it is precisely because it was a costly infrastructure project that the canal expansion can eventually help alleviate these very same inequalities – and lead to a profitable and equitable Panama. Featured Photo: Panama Canal. Taken from Wikimedia. “Building the Panama Canal, 1903–1914.” Milestones: 1899–1913. N.p., n.d. Web. 11 July 2016. “Then & Now: The Panama Canal.” PBS: American Experience. WGBH Education Foundation, 2013. Web. 29 June 2016. “2015 Annual Report.” Canal De Panamá (2015): n. pag. Www.pancanal.com. Autoridad Del Canal De Panamá, 2015. Web. 11 July 2016. “Panamá – Producto Interno Bruto (PIB) per Capita – Cuadros De Datos Históricos Anuales.” Index Mundi. N.p., 2013. Web. 01 July 2016. “Panama: NATIONAL SOCIO-DEMOGRAPHIC PROFILE.” CEPALSTAT | Databases and Statistical Publications: Economic Comision for Latin America and the Caribbean. CEPALSTAT United Nations, 2016. Web. 11 July 2016. Ott, Stephanie. “Worlds Apart: Panama’s Indigenous and the Panama Papers.” ALJAZEERA. Al Jazeera Media Network, 9 Apr. 2016. Web. 12 July 2016. “Panama: Poverty Assessment: Priorities and Strategies for Poverty Reduction.” Poverty Reduction & Equity. The World Bank Group, 2016. Web. 12 July 2016. Brancaccio, David, Justin Ho, and Katie Long. “The Canal Has Made Panama Rich, but Inequality Persists.” The Canal Has Made Panama Rich, but Inequality Persists. NPR: American Public Media, 30 June 2016. Web. 12 July 2016. “Competitiveness Rankings.” Global Competitiveness Report 2015-2016. World Economic Forum, 2016. Web. 12 July 2016. “Panama Makes Progress towards Sustainable Education Growth.” Oxford Business Group. Oxford Business Group 2016, 2016. Web. 12 July 2016. “Government Expenditure on Education as % of GDP (%).” The World Bank. The World Bank Group, 2016. Web. 12 July 2016. “Panama.” CIA World Factbook. Central Intelligence Agency, 2016. Web. 12 July, 2016. “Strategic Government Plan 2010-2014.” Ministry of Economy and Finance. Republic of Panama, 2009. Web. 12 July, 2016. “Strategic Government Plan 2015-2019.” Ministry of Economy and Finance. Republic of Panama, 2014. Web. 12 July, 2016. ← ¿Cómo el TPP Afectará las Condiciones Laborales de Sus Socios Comerciales?